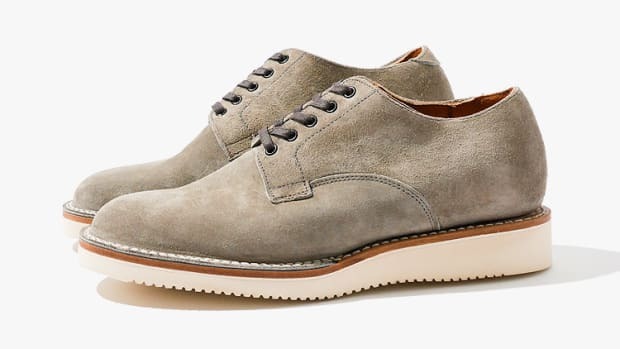 Yes, there are quite a few variations of the Viberg Derby, but this is one shoe style we can&apos;t get enough of. 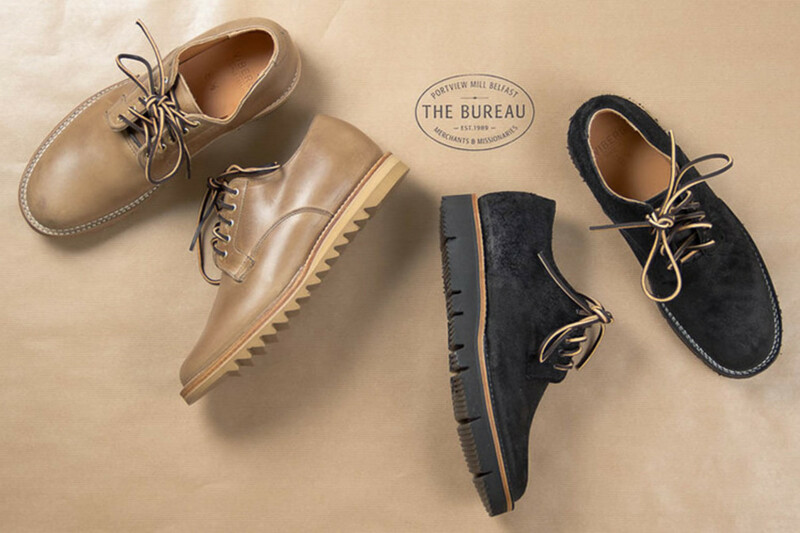 Their latest special edition is for Irish menswear boutique, The Bureau Belfast, and for this edition they&apos;ve released the shoe in two styles: Natural Chromexcel and black roughout leather. 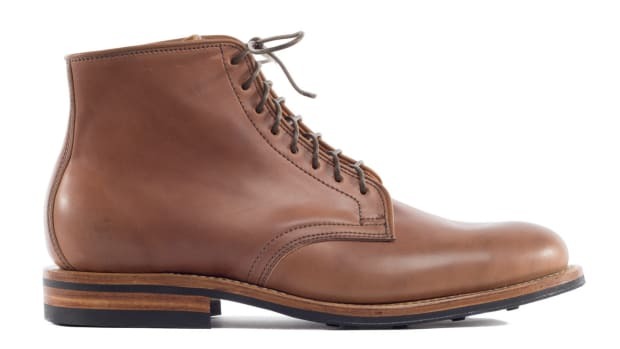 Both Derbies are built on Viberg&apos;s new 1035 last and the natural style features tonal brown stitching and a Vibram Gumlite ripple sole. TThe black roughout style goes for a black Vibram Gloxi-Cut sole and both feature natural edge midsoles. 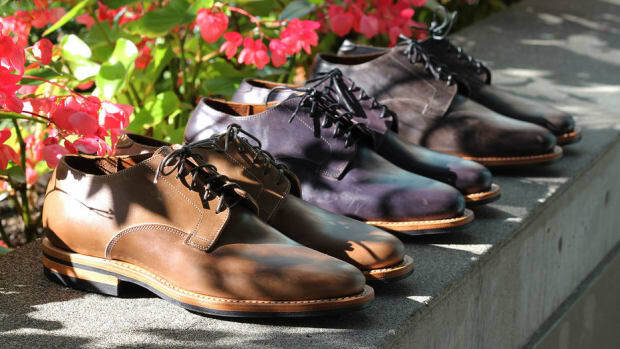 Leather-wrapped masterpieces from one of Canada's most talented shoemakers. The Service Boot gets simplified.